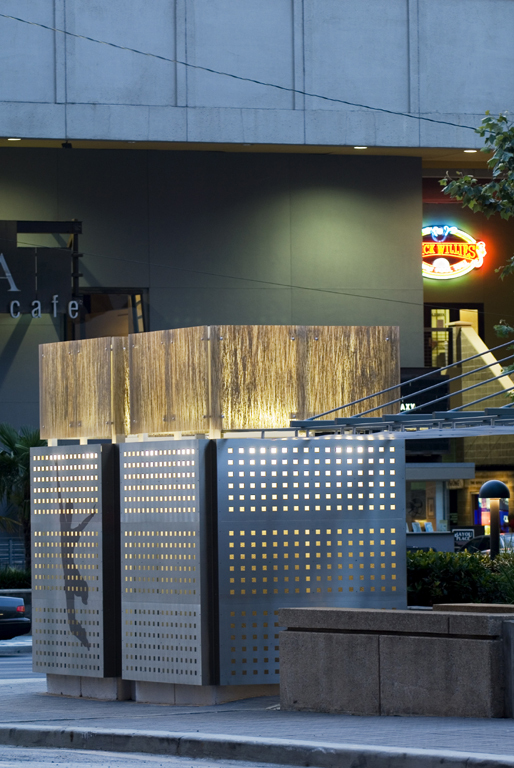 Twin concrete airshafts for ventilation of underground parking were eyesores and visual barriers at each corner of Jones Plaza, the heart of Downtown Houston's Theater District. 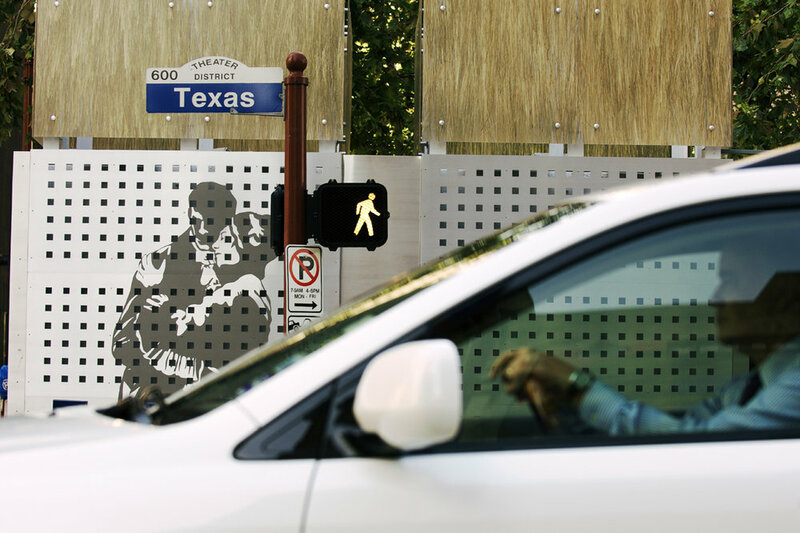 Through the Civic Art + Design Program of the Cultural Arts Council of Houston and Harris County, the architects were challenged to transform the airshafts into landmarks, bringing the plaza to the street. 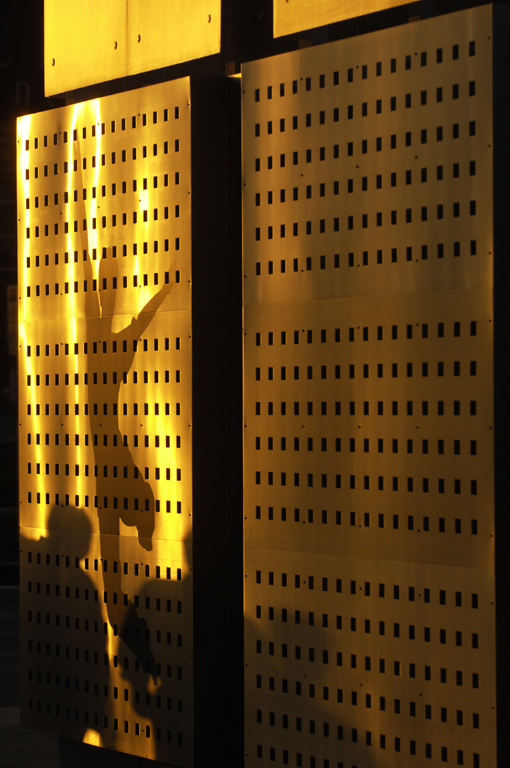 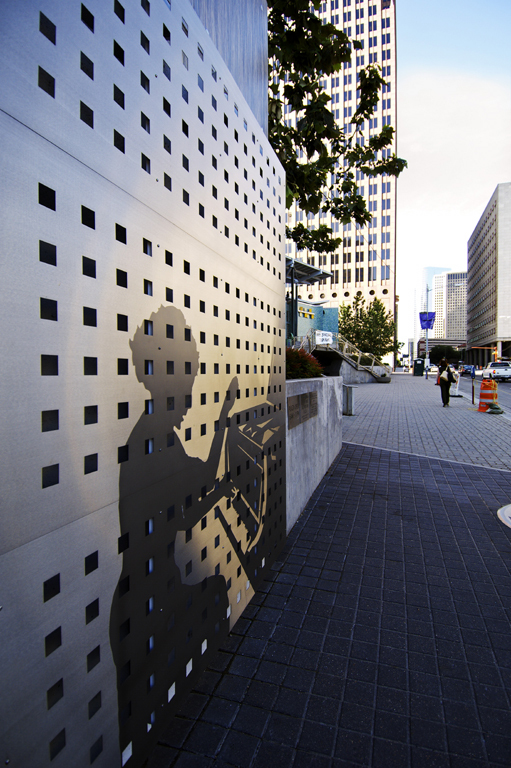 Backlit stainless steel panels perforated in a square grid create a resonance in pattern, scale and material between surrounding office towers and the tile walls of Jones Plaza. 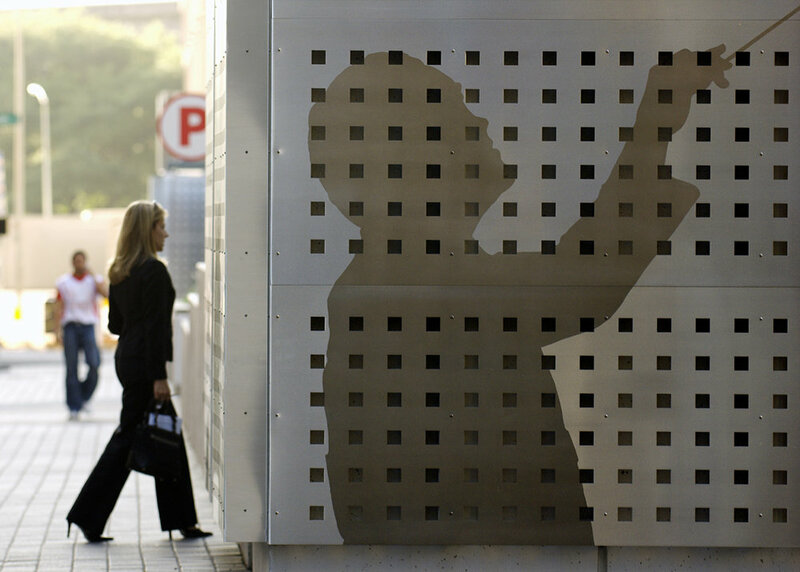 An image representative of the surrounding arts venues, sandblasted at each corner, acts as a subtle wayfinding device while animating the street. 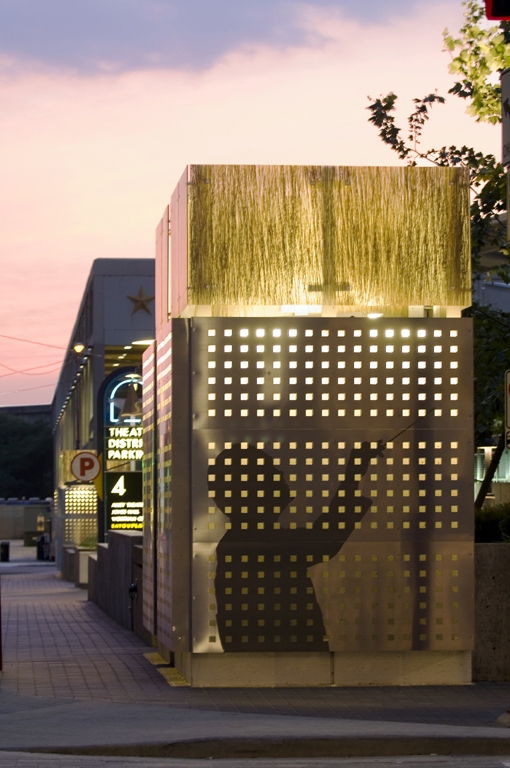 Illuminated beargrass-polymer laminate 'grows' from the top of each cube, creating beacons that speak simultaneously to the plaza's plantings and the spotlights of surrounding theaters. 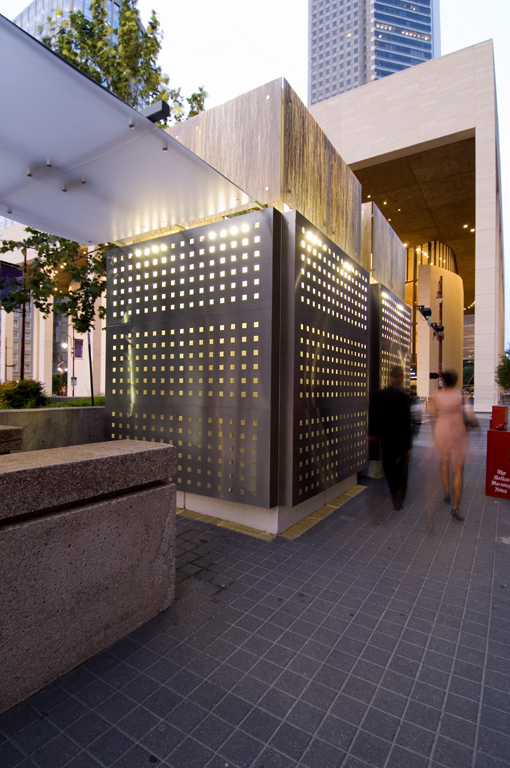 Translucent panels hung on a lightweight steel frame provide protection for pedestrians using adjacent stairwells.